One of my favorite things about summer is fresh blueberries. 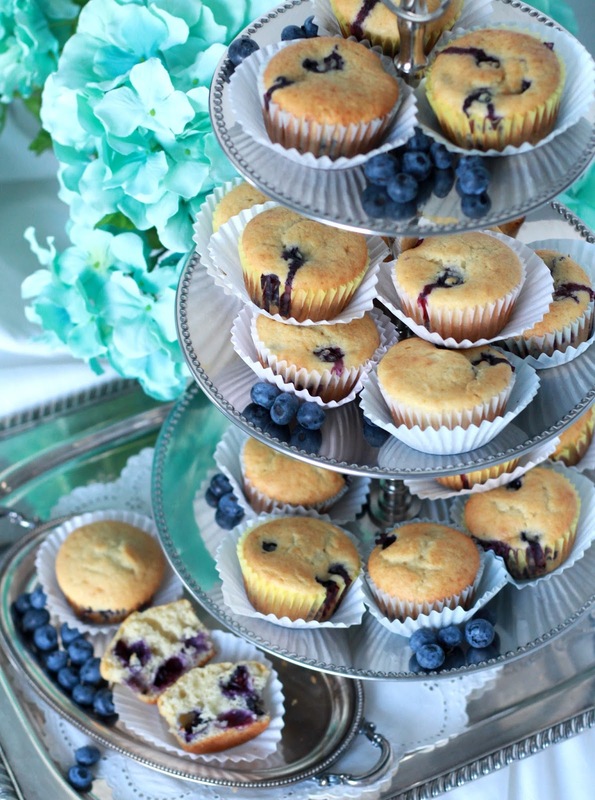 I have already shared a few blueberry muffin recipes and I have yet another. This recipe for blueberry muffins produces a lighter, more cake-like crumb. I also swapped out half of the butter with applesauce to make them a little less in calories and lower in fat. The original recipe says the yield is 12 muffins. It did not indicate a special muffin pan or baking cups so I haven’t a clue how I got 24 average-sized muffins. But I’m not complaining! Grease 2 12-cup muffin pans or line with paper baking cups. Sift together the flour, salt, baking powder and baking soda into a bowl. Set aside. In a large mixing bowl, beat the sugar, butter, orange zest, vegetable oil and applesauce until thoroughly combined. Don’t worry if the mixture looks curdled. Beat in the eggs one at a time. Whisk in the sour cream, milk and vanilla. Add half the flour mixture and stir until combined. Fold in the rest of the flour and mix thoroughly. Fold in the blueberries with a spatula until just combined. Using a scoop, fill each cup with batter; bake 20-25 minutes until golden brown. 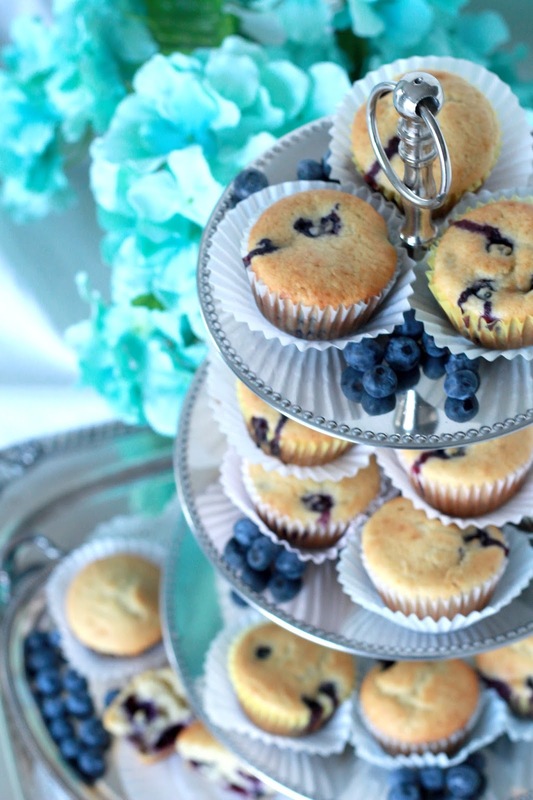 We love blueberries too. 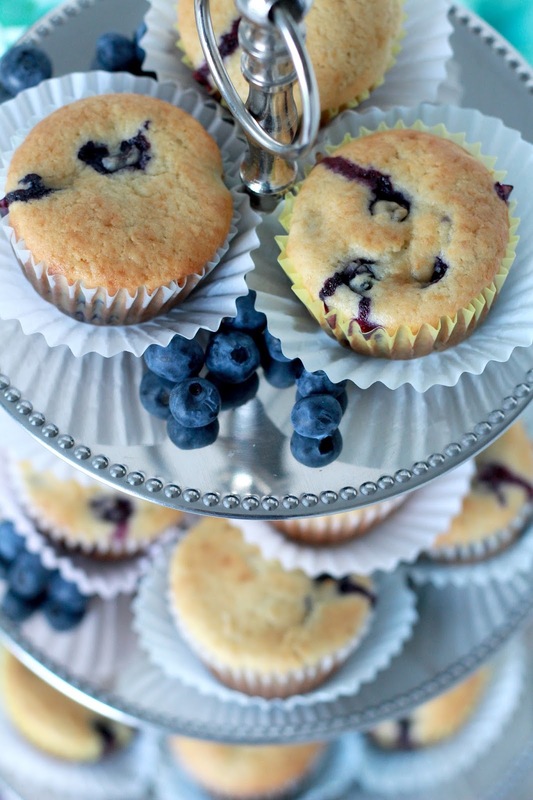 I make muffins with blueberries and strawberries. This year we got zero strawberries though. 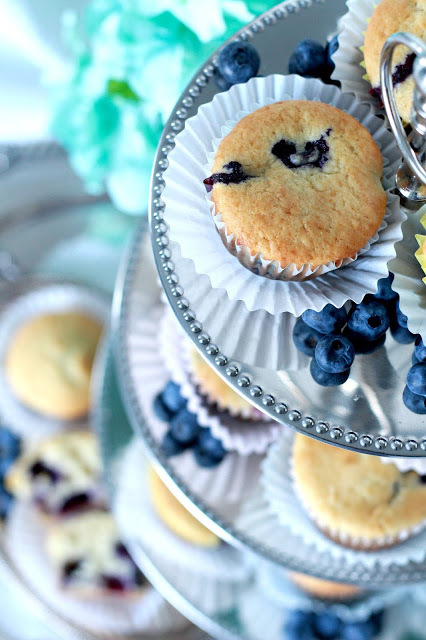 Your muffins look delicious. 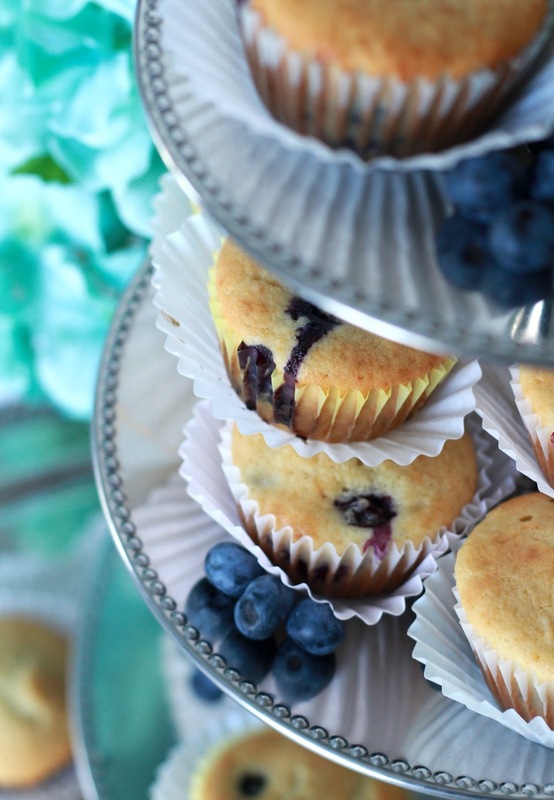 oh I love blueberry muffins.